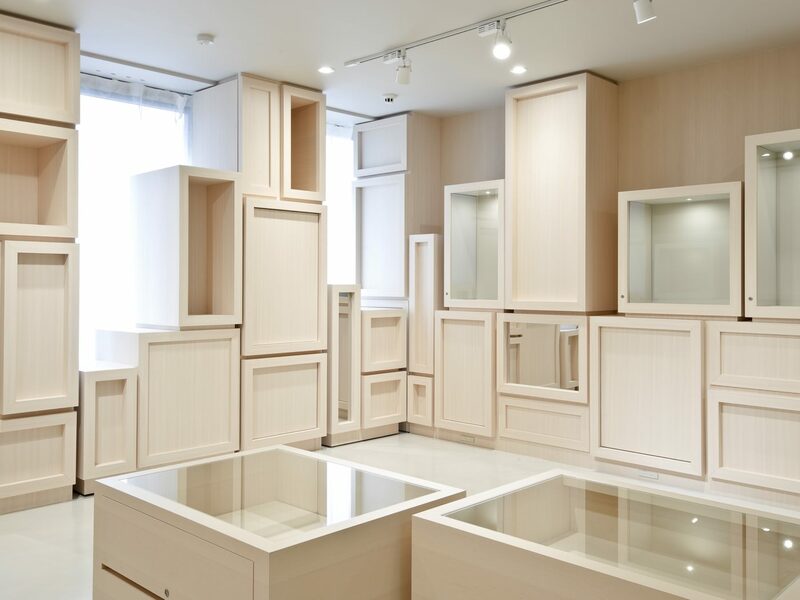 The shop which sells used one-of-a-kind jewelry is located along a back street from the main streets in Ginza, Tokyo. Although we generally use the design to enhance the willingness to buy in commercial design works. In this project, however we used it to regulate the speed of willingness to buy. This means that we created a space where a guest can find their “Favorite Stone” unexpectedly with a pleasant surprise. We proposed that the room should be piled up with some jewelry boxes. 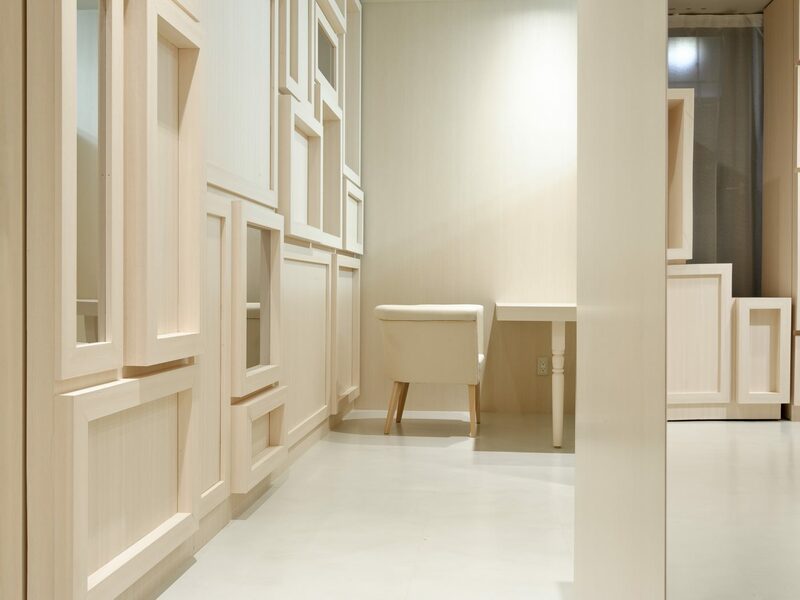 The design will give the visitor several images such as the world in a picture book, a nostalgic attic, and a time that has stopped.